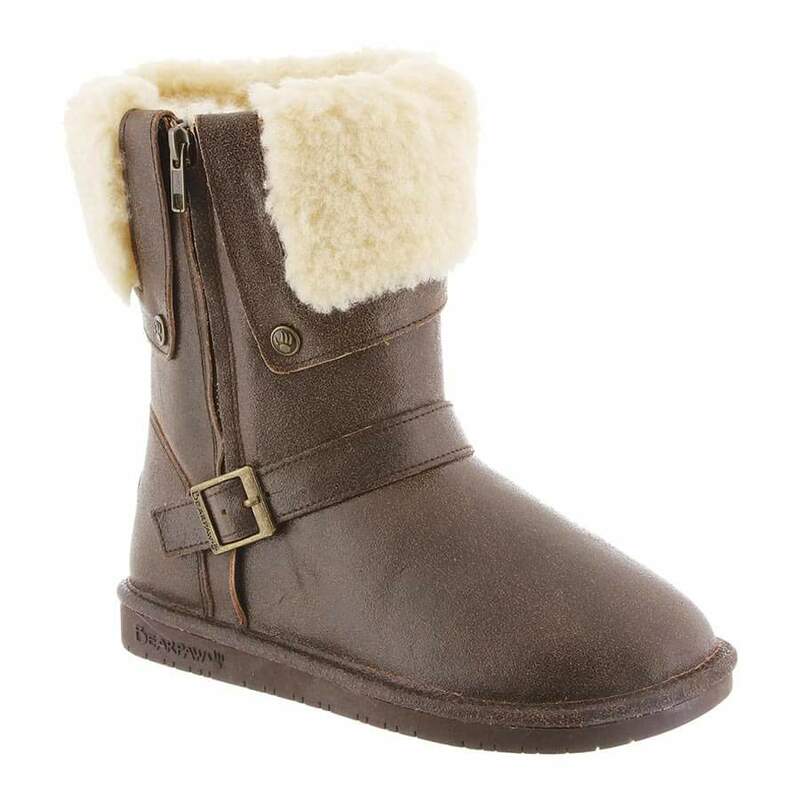 Your jeans are going to thank you when you slip on Bearpaw's interpretation of the bomber boot. 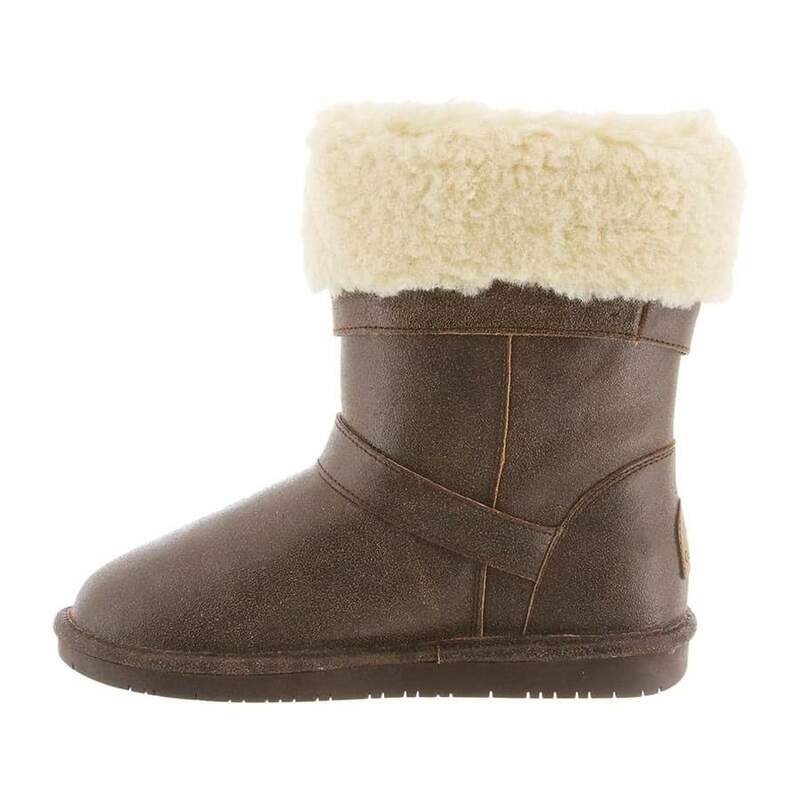 The Madison is designed with distressed suede or faux leather upper with wool blend collar and YKK zipper. The details give it a gorgeous mix of rugged and feminine. 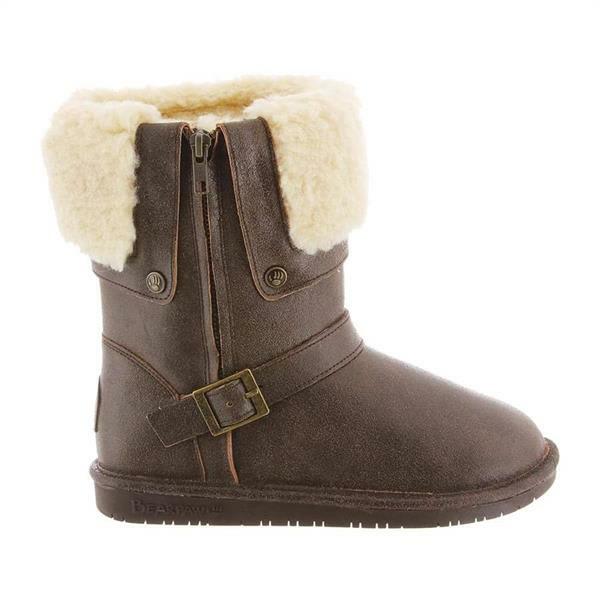 Inside is wool blend lining, sheepskin footbed, and classic low profile TPR outsole.